When having brilliant ideas and when it comes to talk about approaches, experiences and discussing on how to improve your skills, there is always a room for another knowledge sharing internal event. 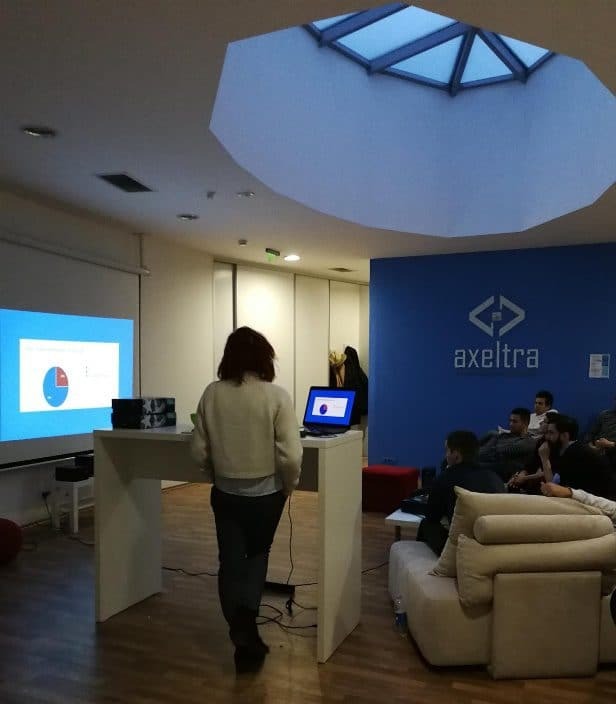 With this internal event in our offices, we proved once again that sharing knowledge can provide our employees a whole new level of resolving problems.The presentation was prepared by Ana Janevska, a QA Engineer at Axeltra, as part of the Java Team. It was followed by previously prepared questionnaire, which was created in order to collect information on how other teams are handling code verification and what approaches do they use, once their code is getting into the testing phase. ”Depending on the structure of the teams and predefined processes, it’s very likely for them to have a lack of Test Engineers, or lack of definitions of processes when it comes to verifying code, checking the code quality and time slots for it. As a QA Engineer, I decided to collect information on the way other teams are handling different situations and share the results internally. This was done in order to improve their skills, or give them ideas for improving their verification and testing processes, once they’re running out of resources or time for it, by handling these situations. For me, as a non-developer, I find the idea about the product quality as one of the most important factors, because at the end of the day, the end users are the ones who will use what we create and their satisfaction is our mainly goal.”– Ana Janevska, QA Engineer, found “guilty” for this event. The results from the questionnaire, detect the main problems when it comes to code verification, ways of testing features being developed within the teams and resulted in discussing on ways for handling it. 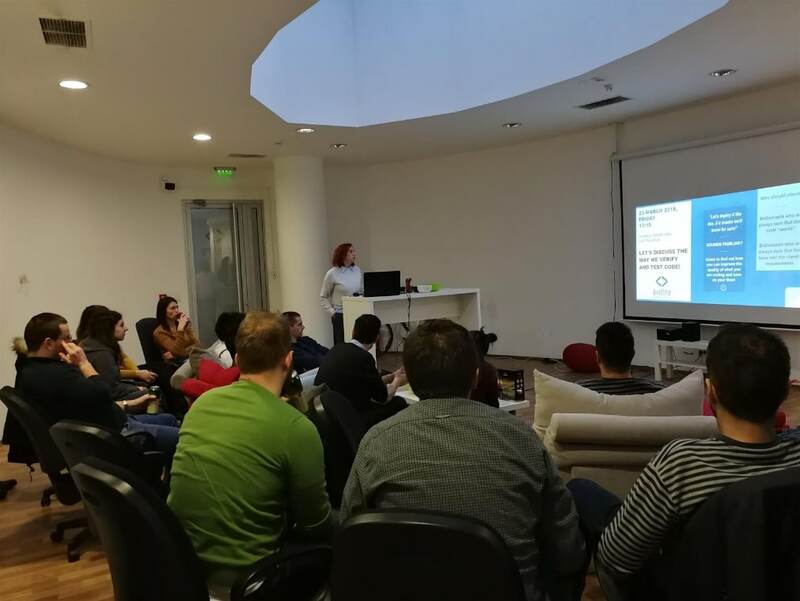 ”Great presentation to hear and learn the latest software quality assurance practices and during the discussion were shared useful real case examples that are happening on various types of projects, actually, some of them cannot be meet nor in the theory.”– Marjan Janeski, Software Engineer at Axeltra. After the presentation, the discussion continued, which brought up a lot of solutions for improving the code verification and testing. ”We all know that software development process is much better when we have QA engineers as a part of the team, otherwise, the pressure goes to developers. That’s one of the reasons why this event was interesting not only for QA engineers but for the developers also.”– Goran Trpchevski, Software Engineer at Axeltra. As a company which always looks forward to keep their employees motivated for improving their skills, we’re very much looking forward to the next event who might bring more bright ideas!